Click on title to view photo in large format. 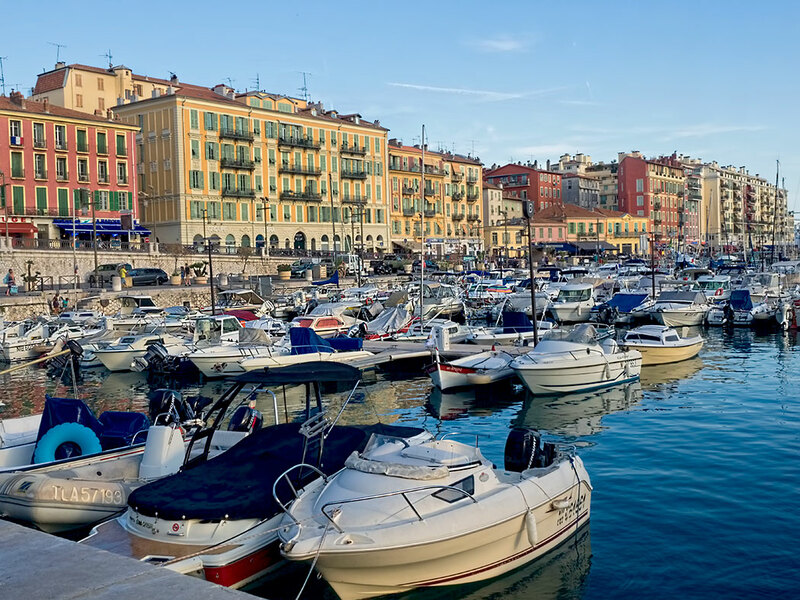 While most of the focus in Nice, France, is on the town’s beaches and the historic Old Town, the nearby Port Lympia is worth a stroll. Port Lympia was once a bustling commercial port. These days, one of the few commercial activities that occurs at the port is shipment of cement, an important export in the area. Beyond the cement plant, however, the port is a veritable showcase of luxurious yachts, sitting side-by-side with sailboats. The Neoclassical spire of the Church of Notre-Dame du Port, a beacon for sailors in earlier days, rises behind the port. Time your stroll for late afternoon, when the setting sun lights up the facades of its gorgeous Venetian style buildings.